Caption - South African Railways (SAR) class 25 4-8-4 approaches Kraankuil with the southbound Orange Express in August 1982. Loaded to 17 coaches the train is near the top of the long climb from Orange River. 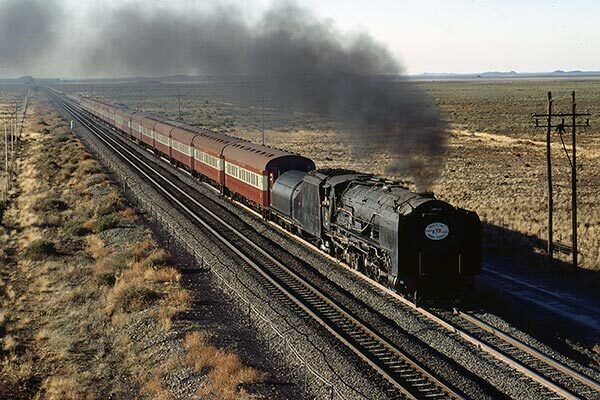 Always a master of the job, this class 25 was probably touching 80 km/h despite the grade and would accelerate on the easier section south to De Aar.